Diamond Details: 104 Round brilliant cut white diamonds, of F color, VS2 clarity and excellent cut and brilliance, weighing 1.63 carats total. Gemstone Details: 179 Round cut pink sapphires, weighing 3.60 carats total. 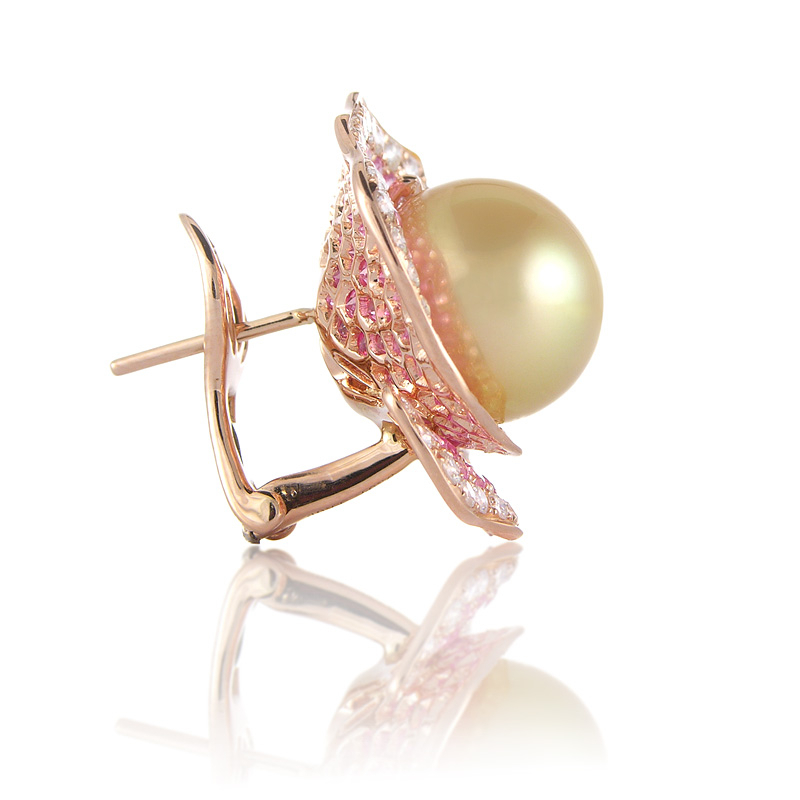 Pearl Details: 2 large south sea colored pearls, full of luster, measuring 11.80mm in diameter. 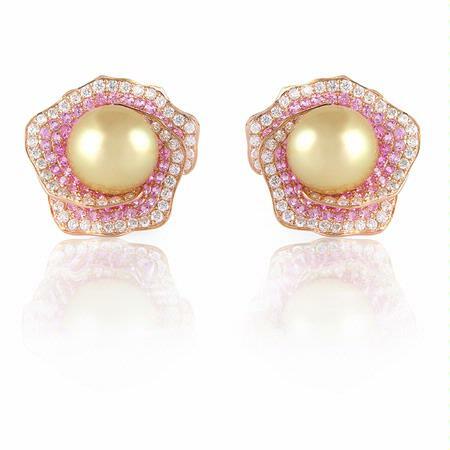 Earring Details: 18k rose gold with post and omega clips. Measurements: 22mm in length and 23mm at the widest point. 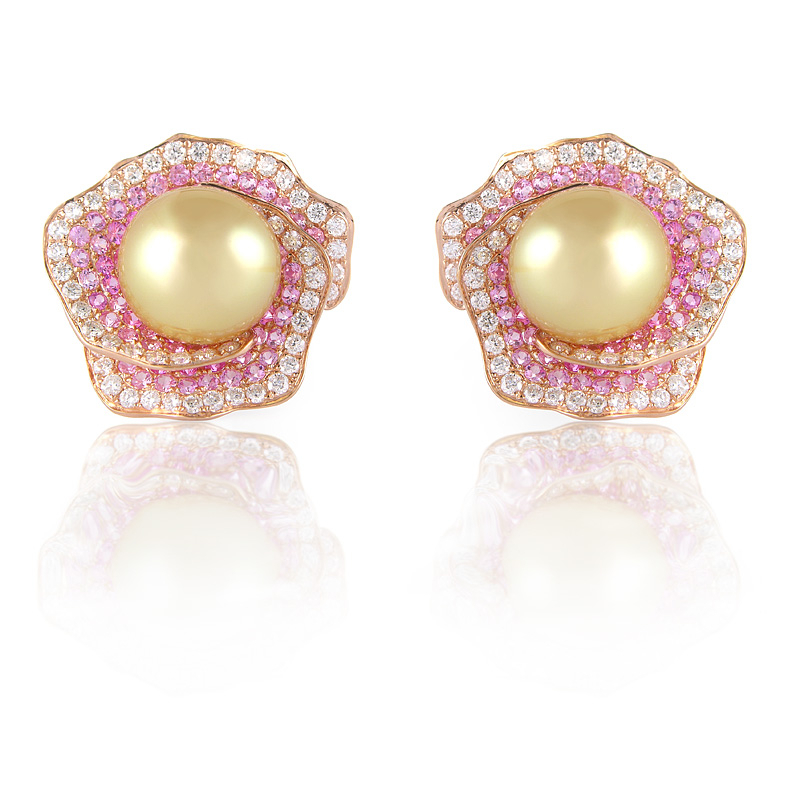 This sensational pair of 18k rose gold earrings, designed in Italy, contain 104 round brilliant cut white diamonds, of F color, VS2 clarity, of excellent cut and brilliance, weighing 1.63 carats total, 2 luscious south sea pearls measuring 11.80mm in diameter, with 179 pink sapphires weighing 3.60 carats total. These earrings contain posts & omega clips. The earrings measure 22mm in length and 23mm at the widest point.